Test flights of the re-engined Boeing 737MAX aircraft, suspended due to engine checks for defects, were resumed on May 12 – just two days after the suspension, Reuters reports. Boeing informed that only the aircraft that did not raise any doubts about their technical condition were returned in the air. 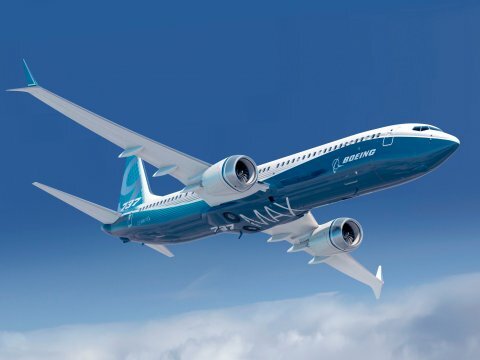 The flights of Boeing 737 MAX aircraft got suspended due to the cracks detected in the discs of second and third tiers of low-pressure turbines on CFM International LEAP-1B engines. The defect was only discovered in the components of one of the suppliers. CFM International says that to sustain the rate of engine assembly, the company increased the purchase volume from another supplier of the same discs. Boeing did not explain how much time it will take to check the engines and replace potentially poor-quality components. Olivier Andries, the CEO of Safran Aircraft Engines (co-owns CFM International together with GE Aviation) suggested that fixing the problem will take several weeks. It was reported earlier that no more than 50 engines are scheduled for a check-up. For this, they are sent to the manufacturer’s facilities in the United States and France. CFM International expects that despite the failure of the production program, this year the company will release 500 power units of the LEAP family. A defect in the components of new aircraft engines was revealed on the eve of the delivery of the first Boeing 737 MAX-8 to the launch operator – Malaysian Malindo Air. Boeing expects to stick to the plan and deliver the aircraft until the end of May.